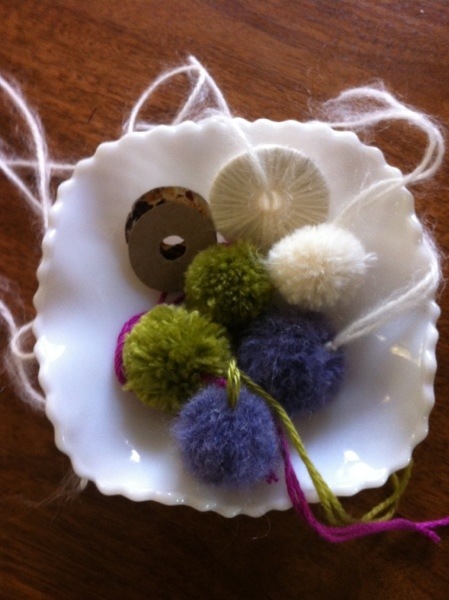 I love a pom pom and even more, I love a pile of pom poms, a gaggle, a gathering of the fluffy little critters. 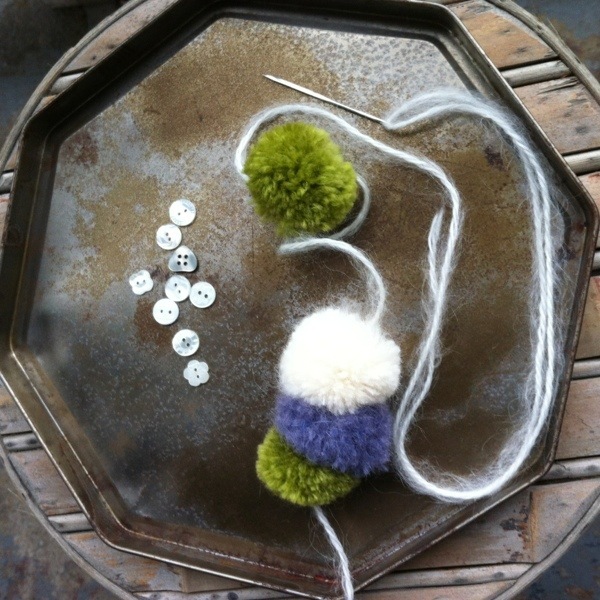 So, I made some little pom poms with some random balls of wool from The Upcycle Exchange. 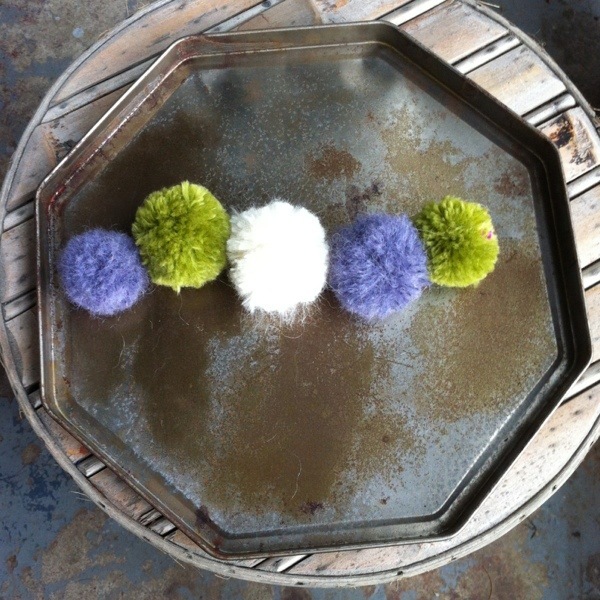 Go here to see how to make cutesy pie pom poms. I ended up with a little pile of successful ones, some wool doesn’t lend itself to a good fluffy pom pom, so a few fails are to be expected. What to do with my mini pom poms I hear you cry? 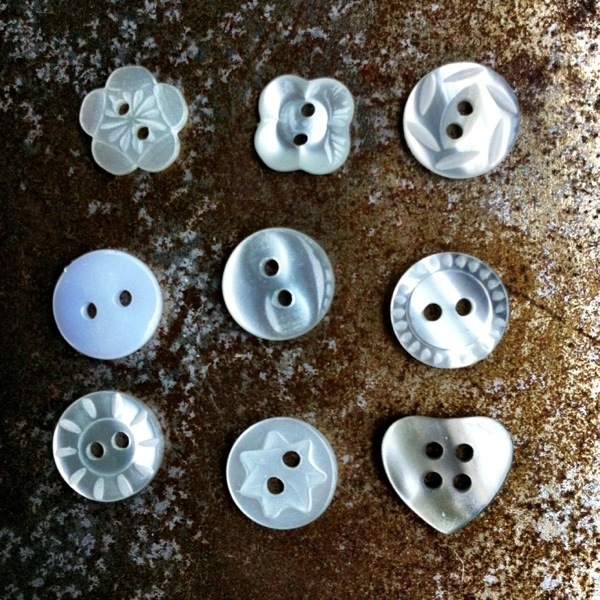 How can I use some of these teeny tiny buttons, maybe for eyes? 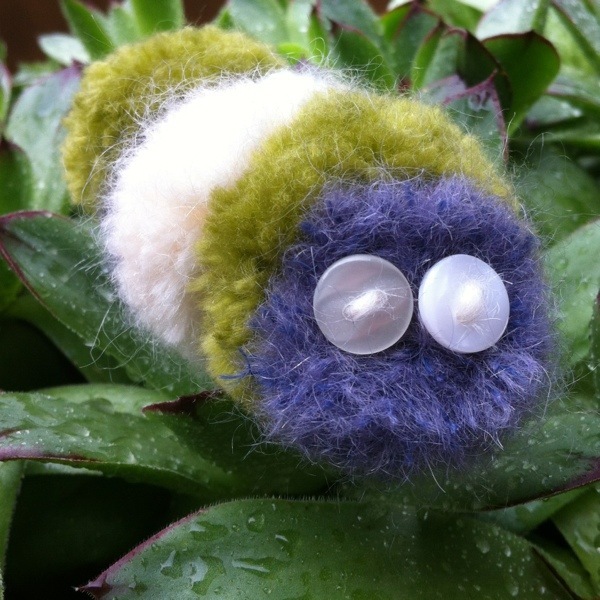 If my little creature has eyes, well then it needs a heart. 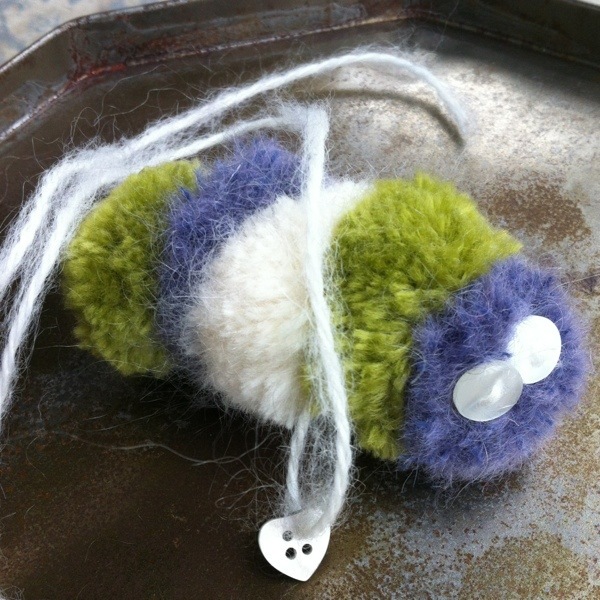 I threaded the pom poms together and pulled the wool so that they all smushed together in a friendly manner. At the head end I attached two button eyes and in the middle of two pom poms went the heart button. 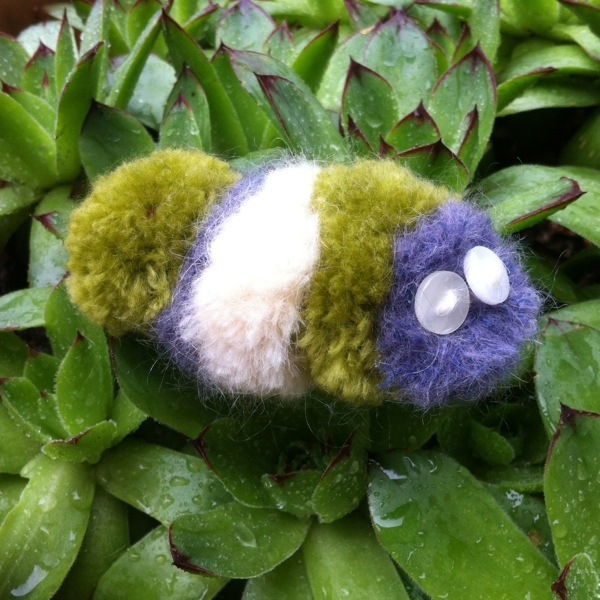 When he is all fastened together, you may need to take him to the caterpillar salon for a trim. Use nice sharp scissors to trim any unnecessary fluffy bits. 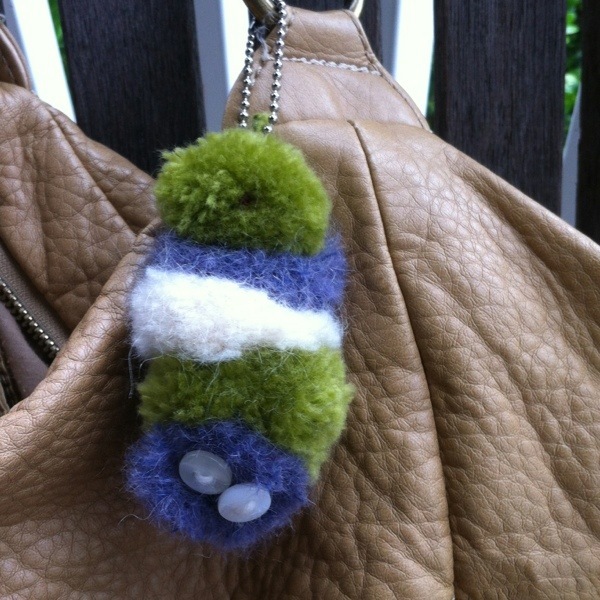 If you want a key chain, thread some wool through the end pom pom and attach a ball chain.